We have been going to the beach with all of my family for about 14 yrs. 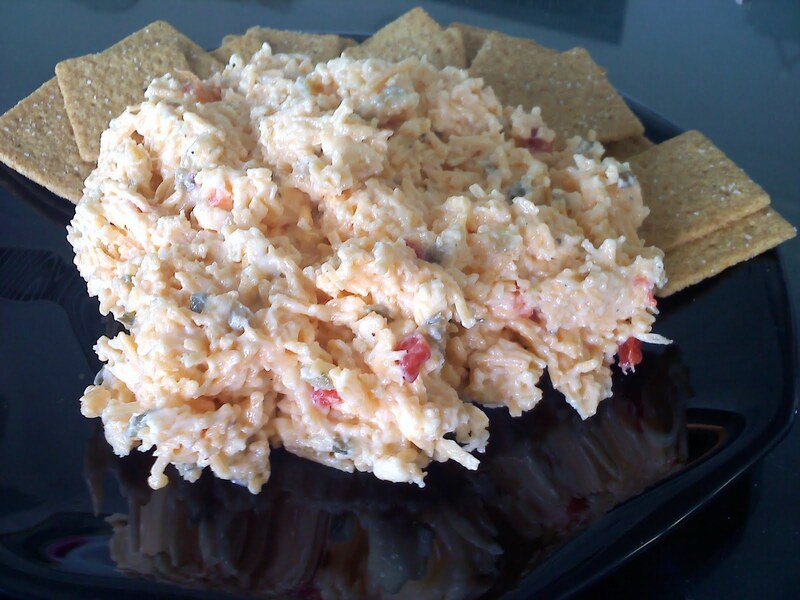 We have been making this Pimento Cheese for 14 years, and we just love it. A dear family member, Mellie, shared her version with me years ago. This is one of the recipes that I feel isn't exact. Some like it creamier, some like it saltier - make it according to taste and enjoy tasting it til you get it perfect! enough light mayo to reach desired consistency (add slowly so not to "Mayonnaisy"
Mix together and refrigerate. Enjoy on favorite crackers,bread or wrap!